Short Legs – Big Attitude! Inspected by the American Kennel Club (AKC), Found to be a 100% in full compliance with all AKC rules and regulations. We are Members of the Carmel Dachshund Club in Monterey CA. We are back!! Previously under ColorfulDachshunds.com. 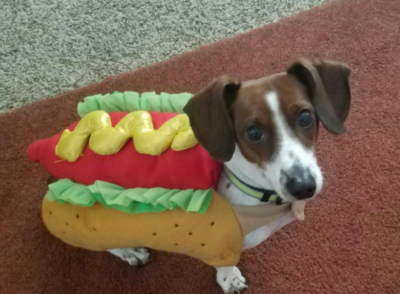 If you are as passionate about Dachshunds as we are and are looking for a Reputable Breeder, you’ve come to the right place. 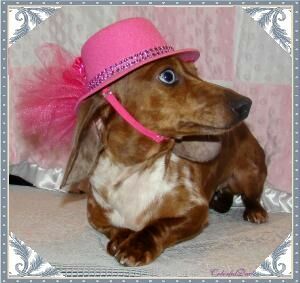 We raise quality AKC Purebred Miniature Doxie puppies in a very loving home environment. Puppies are born and kept in our home until they leave. They are held daily and well socialized with children and other pets. They come with a One Year Health Guarantee of any Life threatening congenital disease limited to heart, liver and kidneys only – nothing more. Our babies are very precious to us, so we want nothing but the very best for them, we want our babies to go to stable and loving homes. We have a Rainbow of colors. We specialize in Miniatures (under 12 lbs) and sometimes Tweenies (13-16 lbs) which fall between the Mini and Standard weight. Our puppies come in a variety of colors. Piebald’s, Dapples (Camouflage – One of a Kind, no two dapples are the same – Unique! ), Isabella (fawn/tan), Blue/Tan, Black/Tan, Chocolate/Tan, and many more colors in Smooth and Long Coats (Majestic & Gorgeous). Our little Doxies are home raised with lots of love and attention. They have wonderful temperaments, sweet dispositions, they are adorable, playful, well socialized, healthy and pre-spoiled (no extra charge). All puppies and Adults are AKC registered. 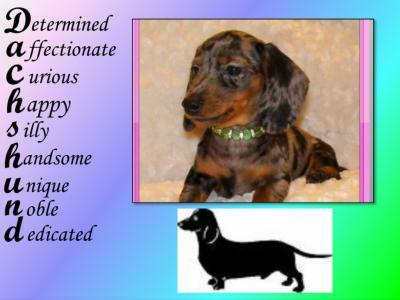 Our goal is to produce Healthy, Happy, Loving Dachshunds with wonderful temperaments. You will receive one of the most loving, loyal, intelligent, clingy (yes, clingy), humorous, and low maintenance breeds there are. Your puppy will be current on vaccines, dewormings, have a One Year Written Health Guarantee, AKC Registration, Puppy Package, and will be Vet Checked prior to leaving. You might find another puppy for the same price or lower, but will they provide piece of mind for what we offer? Please read our reviews and then decide. Don’t forget…you get what you pay for. 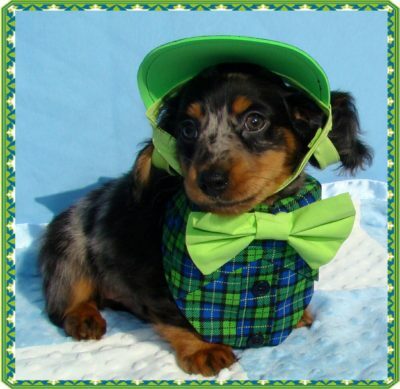 Colorful-Dachshunds reserves the right to withhold the sale of any puppy without explanation. If we feel for whatever reason that a puppy is not a good candidate for adoption, we will not sell that puppy. We are very proud to be part of AKC’s “BRED with H.E.A.R.T.” Program. Certifying that their breeding stock is health tested in accordance with the recommendations of their breed’s AKC Breed Parent Club. Upholding AKC’s tradition of breeding purebred dogs that are healthy and happy. Our doors do not close upon the purchase of your new puppy; we are always here to help with any questions or problems you may have. From our heart to yours. Should you have any questions, please call us at 408-840-1842 or email us at DoxBabies@yahoo.com we’d love to hear from you. Spaying (for Females) and Neutering (for Males) can have health and behavioral benefits. no more messy heat cycles, and eliminating the chance of accidental breedings that result in unwanted puppies. For Males, neutering can decrease aggression and the tendency for the male dog who has females on his mind to want to get loose and wander. If it is done early enough, neutering helps do away with scent marking, the tendency for the dog to lift his leg and leave his “signature” on your furniture. Neutering male dogs also reduces the risk of testicular cancer and prostate disease. Your Veterinarian can help you make decisions about the right time to spay/neuter your dog. Dachshunds are just like potato chips…you can’t have just one!! POLO – My Previous Puppy, such a handsome little guy. Yet watch the joy your puppies bring, and everything’s explained.